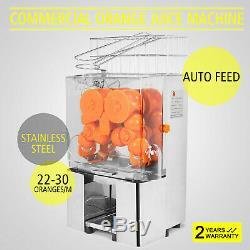 Electric Commercial Auto Feed Orange Lemon Squeezer Juicer Machine. 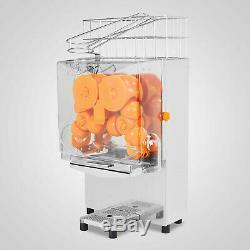 The Juicer machine would make extracting juice from oranges, lemons, limes, etc. It design Reasonably, both exterior and interior structure are advanced. Made of the highest quality of stainless steel, our juicer is made for the commercial business environment. Characteristics of the machine are: no antiseptic, coloring matter, essence & water in the fresh juice. It is totally different with another juice in the market. 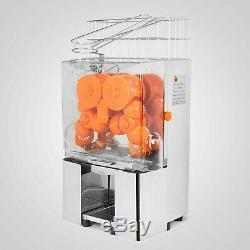 Use these kinds of machine you just need to antisepsis and wash fresh oranges, the machine will peel the skin, producing fresh juices, filtrate automatically. 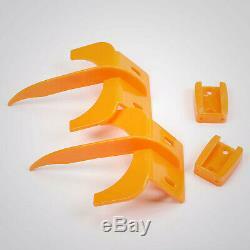 This product is well-designed and advanced, all the material are safety by stainless steel and PC plastic. 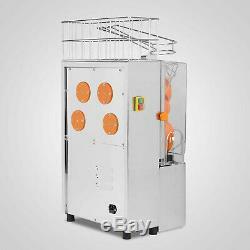 The machine apply to small drink shops, fruit shop, restaurants, hotels, bars, the office of cards, tea and coffee-houses, a very wide range of applications. Also applies to the success of the family. With the concept of raising the level of food consumption, as people of freshly squeezed juice will replace the carbonated beverage drinks. Place the machine on the stable table, connect power plug to a grounded connector plug. Safety check before you turn on the machine. If the nut screw down properly. If place the knife rest correctly (press it on the bottom). Place the cover on, screw down the nut. It can be used after turn on the power. Put antisepsis and washed fresh oranges in the machine will peel the skin, producing fresh juices, filtrate automatically. Squeeze 22-30 oranges per minute. High Quality Stainless Steel Case. No antiseptic, coloring matter, essence & water in the fresh juice. The machines stop working while it without the cover place. 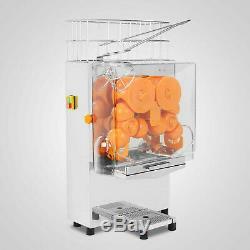 The Juicer machine design reasonably, both exterior and interior structure are advanced. 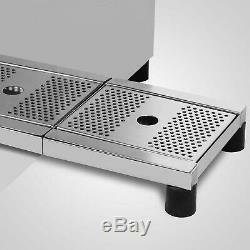 Suitable for small drink shops, fruit shop, restaurants, hotels, bars, the Office of cards, tea and coffee houses, a very wide range of applications. Also applies to the success of the famil. Can be used to squeeze pomegranates, lemons, oranges and other fruits. Constructed of full metal gears. Easy to Operate and Clean. Material: Stainless steel + Plastic. Output: 22-30 oranges per minute. 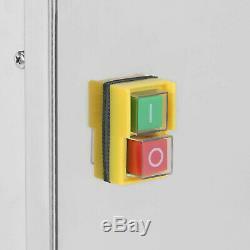 Security: Safety cut out switch. Machine Size: 20×20×35 / 508 x 508 x 889mm. 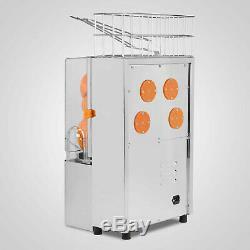 1 X Juice Extractor Machine. As a leading and emerging company in manufactory and exporting business, we are specialized in Business and Industrial Products, Sporting Goods, Pet Products, Home and Garden products for more than 10 years. We believe that it is our vision and mission to provide innovative products with best service and competitive price to satisfy you. Our goal is to make sure that you can find exactly what you are looking for and make it easy for you to place your orders. If you have any changes, pls inform us. These charges are the buyers responsibility. If you need to return, please check twice to confirm the item not work and contact our customer service representative, let us know the detailed problem and send us some pictures for confirmation. Please make sure that item has NO man-made sabotage. Used items will not be accepted for return. All emails will be responded to within. Special circumstances will be listed clearly in the listing. Please do check everything carefully after you received the parcel, any the damage except DOA (Dead-On-Arrival) would not be covered if it's your fault. A: The item ships from Rancho Cucamonga, CA, United States. A: Please log on your account. Q: How do I return an item? Please contact our customer service before you return an item. 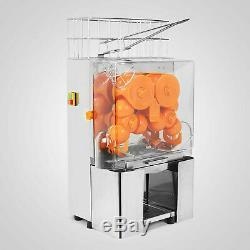 The item "Commercial Orange Squeezer Juice Fruit Extractor Maker 22-30 Oranges/min" is in sale since Tuesday, March 26, 2019. 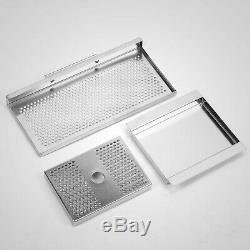 This item is in the category "Business & Industrial\Restaurant & Food Service\Bar & Beverage Equipment\Blenders, Mixers & Juicers". The seller is "prettystylesoul" and is located in Ontario, California. 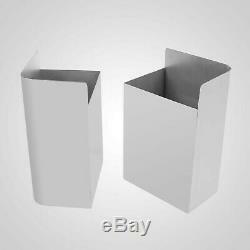 This item can be shipped to United States, Canada, Mexico.